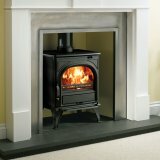 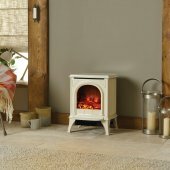 This Huntingdon stove is the smallest within the range but provides virtually all the features of larger models. 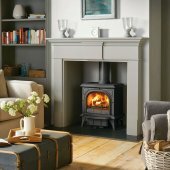 It has been designed to suit everything from a country cottage to a modern townhouse. 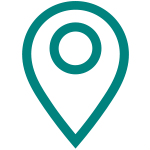 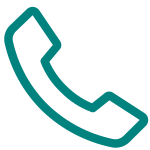 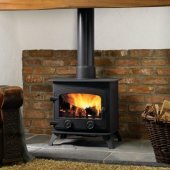 It is ideal for burning logs yet it is equally proficient with smokeless fuels or peat briquettes. 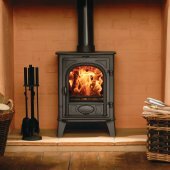 In fact, the compact Huntingdon 25 is just the stove to bring you a picture of comfort. 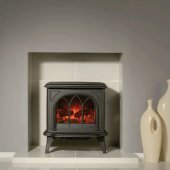 Featuring classic tracery arches or for a full view of the flames, a clear door option is also available.